By the first day of Durbar reopening in Srinagar, M H Malik was part of the assembly in the civil secretariat. His status as a senior officer in Chief Minister’s office apart, he was holding the additional charge of Director Information. While receiving the Chief Minister, he met the officials from information department and told them he will be driving to their office at 2 pm. By 1 pm, the situation had changed; the government had appointed Arun Manhas, a KAS officer, additional DC Jammu, as the new in-charge Director Information. A week later, when Manhas was sitting in a gathering of Kashmir editors trying to understand the issues confronting them, his seniors in the state service were in a parallel meeting discussing how their junior can get such a big position. Two days later, Manhas was indicated that he would be going back as the additional DC in Jammu because the cadre is restive. It took him three days more to roll his holdall and report back to Jammu. The government is yet to make up its mind about the Mr Perfect to takeover as the fulltime director of information department. There are many choices flying in the corridors of power as every ‘writer, reporter, producer, editor and broadcaster’ – that makes a lot of PDPs DNA, has a choice. Identifying Mr Perfect may take time but the government decided to have a full-fledged minister for information. Zulfiqar Choudhary, the state’s CAPD minister, is Kashmir’s first information minister after a very long time. This portfolio has always remained with the Chief Minister but in the new thought process, it was taken out of CMO finally. M H Malik, who was earlier asked to hold the charge of Director for a few hours, is now state’s information secretary. Manhas’s fate is still hanging in balance. He is additional DC Jammu, holding additional charge as Director information. With Mufti Mohammad Sayeed as the new leader, the ruling coalition took over on March 1, 2015. Then, Mukhatar-ul-Aziz was Director Information. Aziz had retained the position by managing court intervention but the new government changed him within a fortnight. The line that started with Munir exhibited such a huge velocity that by now – in 26 months, J&K already had nine Directors as efforts are underway to discover the tenth face. This pace has led to a situation that now officers are unwilling to opt for the post that was once seen as a coveted position, given the proximity the position enjoys in the governance structure. Munir was in information department for five months as he was moved to Islamabad as the Deputy Commissioner. 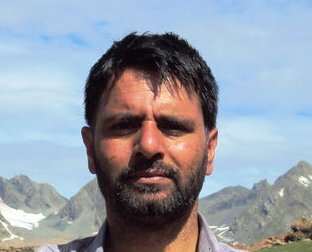 Zaffar Ahmad Bhat, one of the capable officers, who earlier held the position of Director, thrice, in 2007, 2010 and 2012 was finally shifted from Commercial Taxes to head it. He kept the charge for eight months till he superannuated on April 4, 2016. Administration had changed completely as Ms Mufti had succeeded her father. As Muneer-ul-Islam was shifted out of Islamabad, he was asked to take over from Bhat. This time, he lasted for full 27 days. He moved to Pulwama as DC, finally. The hunt for a replacement led the government to appoint Zubair Ahmad as the new director. A senior KAS officer, he had started picking up the threads and understood the job. By then 74 days had passed. He was shifted to Home department and the charge was given to another senior KAS officer Bashir Ahmad Dar, who has a media education background. He started shuttling between the secretariat and the Polo View office of the information department. It was perhaps the eighth day when his junior knocked at his door and placed on his table his transfer order! An IAS officer, Shahid Iqbal Choudhary, who had already created his own credibility as a Deputy Commissioner, replaced Dar. When his transfer orders reached Udhampur, there were protests against the decision. But the Chief Minister’s office was seemingly in his desperate need. He wore many hats and the last one was the Director Information. He got enough time to study and understand. He was part of the crisis management in 2016 unrest when the media had problems on daily basis. Though nothing much was in his hands as Director, but he was an ideal bridge between the media and the government. As files started hunting for bags for a free ride to Srinagar, a reluctant Choudhary was shifted out, freed from all his responsibilities and sent as Deputy Commissioner Rajouri. Finally he got the home district. Choudhary’s replacement added to the drama. It was M H Malik for a few hours and then Arun Manhas since May 9. But why the government is making Jaspal Bhati in the information department? There are no clear answers. But there are multiple theories. One theory is that there are lot of “wise-men” in the government who know how to manage the department, the functioning of which, has remained unchanged and smooth throughout. Though no Director or an editor has the capacity to change the newspaper front page, the government continued experimenting. As the government takes one suggestion seriously, another “media expert” comes with a fresh suggestion that sounds much attractive! It might not be public knowledge that within the government there are various sub-power groupings. They always work to undo each other. Since January 2017, Chief Minister had asked one minister to take care of the department on her behalf. As he proceeded on leave, the department got a full-fledged minister in a typical Chak durbar style. Second theory in circulation is that bureaucracy is playing its role in playing with the department. They are even allegedly using sections of media and part of the administrative services to keep the pot boiling. When the government appointed Manhas to the position, nobody in the bureaucracy pointed out his junior status in the KAS cadre. Once the order was issued, the skies started falling. As it was rumoured the KAS would lock the systems, a scared government undid its doing. Why was Manhas pointed out when backdoor appointees are almost ruling the roost? One more theory in circulation is that the media in Srinagar that was for all these years pre-occupied with reporting conflict has started seeking its share in infrastructure and system building. It has unnerved sections within the governance structure and the easiest way-out was discovered – delay the process by changing the bosses. The decision to have a full-fledged minister is aimed at undoing that thought process, running parallel to political executive set-up. Interestingly, the pace with which the heads of information rolled has prevented this small department from growing itself. Against 822 position sanctioned by the government, it has 406 positions vacant. These include 26-gazetted positions, 322 non-gazetted and 18 other ranks. This has added a lot of strain to the department that is under-staffed and over-used. The department is actually running with peanuts. The overall allocations for the current fiscal are at Rs 67.32 crore of which Rs 29.75 crore is set aside for the costs of the advertisements. Unlike Jammu where it has a towering structure that has space exceeding the department’s requirements, its Srinagar operations are scattered and multi-campus. Seemingly, the government is oblivious of the changes that the mass media has undergone in last many years. As information department is entangled in the newspaper front pages, part of its responsibility has been taken over by the other departments. Last time when Kashmir Reader was banned, the decision was taken by the Home Department and delivered by the Deputy Commissioner. Information department was found working just a courier. The entire social media systems are already with the police. Empanelling the newspaper for advertisements has already been taken over by the civil secretariat. Lack of this responsibility has already dwarfed the status of the Director. Now the department is getting frequent calls from the politicians to accommodate particular newspaper for improved advertisement outgo. This is happening at a time when the department had initiated the process of creating some sort of ranking on basis of various parameters. Even politicians send sufarshi letters for accreditation! Now information department is in desperate need of a makeover.